1) Grease a friand tin or Cupcake muffin tin or loaf tin with softened butter, (alternatively use cupcake cases or lined paper) preheat the oven to 180c. 2) Mix together the flour, icing and almonds in a bowl. 4) Fold the eggs into the dry ingredients. 5) Fold in the melted butter then spoon into the individual or loaf tins. 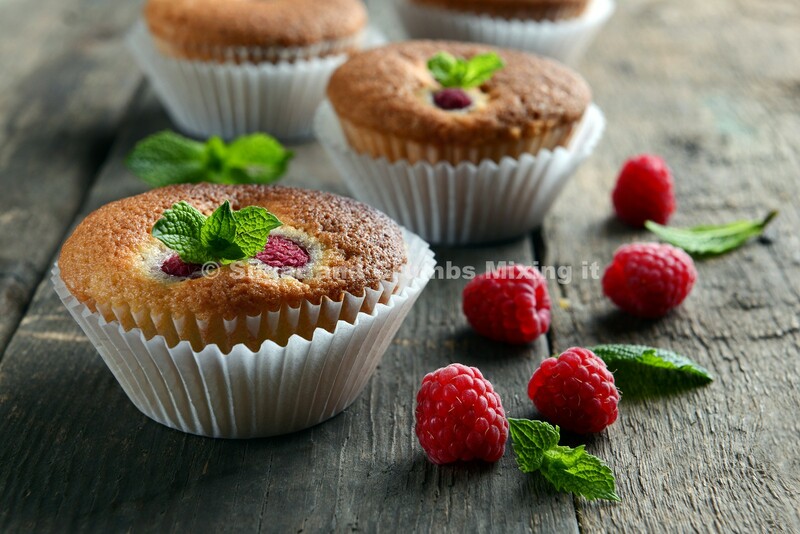 6) Place three raspberries on each friand or a handful on the loaf tin. 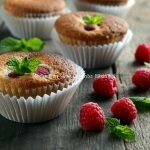 7) Bake in the oven for 25-30 minutes for the friands and 1 hour for the loaf tin or until golden and well risen. 8) Leave in the tin to cool for 10-15 minutes then lift out using a small palette knife to separate the friand from the tin, place on a baking tray.